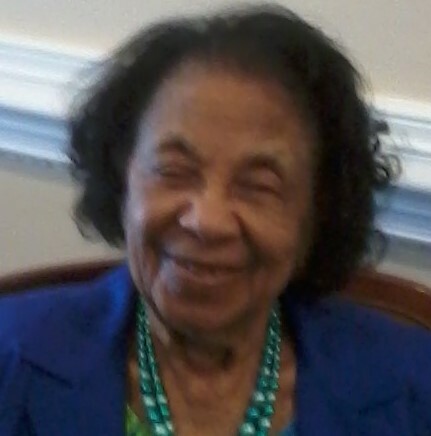 Obituary for Ruth G. (Church) Brittingham | Jolley Memorial Chapel, P. A.
Ruth G. Brittingham, (Bootsie) died Thursday, January 31, 2019 at John B. Parson home in Salisbury, MD. Born in Quantico, MD, she was the daughter of the late Samuel Sr. and Annie (Handy) Church. She graduated from a Philadelphia High School. Upon graduation she attended Apex Beauty School in Philadelphia, PA. She later became a Certified Nursing Assistant. She was employed as a CAN at Deer’ Head State Center where she retired. Mrs. Brittingham was a member of Mt. Zion United Methodist Church in Quantico, MD where she served on the United Methodist Women Board, and former Sunday School Teacher. She was also a former Den Mother for the local Cub Scouts, and a member and former secretary of Community Organization for Progress of the Tri-County area. Her survivors include: a nephew whom she reared as a son: Pennell (Trina) Church of Salisbury; two grandsons: Eugene Church of New Jersey and Michael Church of Wilmington, DE; nieces: Delores Church, (twins) Betty Johnson and Belle Bateman, all of Salisbury; Linda Potts of Mt. Pocono, PA; nephews: Johnny Polk of Salisbury, MD and Willie Stewart of Philadelphia, PA; and a host of great and great-great nieces and nephews. Nine siblings: Florence Townsend, Samuel Church, Jr., Mary Armstrong, Johnny Church, Rosalee Stewart, Mattie Church, Martha Polk, Mannie Green and Perry Church preceded her in death. A funeral service will be held Saturday, February 16, 2019 at Mt. Zion United Methodist Church in Quantico, MD where friends may view one hour prior to service. Interment will be held 10:00 a.m., Monday, February 18, 2019 at Springhill Memory Gardens in Hebron, Maryland.